PASADENA, Md. -- Stopping off at this 7-Eleven on Fort Smallwood Road for a quick pack of smokes may have seemed simple enough, but it ended up landing 39-year old Ryan Jenkins in jail in the wee hours of the morning Wednesday. 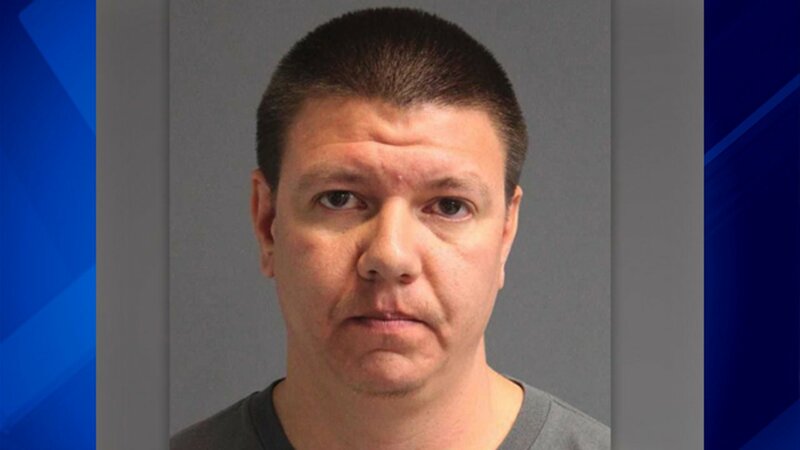 "He was being disorderly, belligerent toward the clerk," said Marc Limansky of the Anne Arundel County Police Department, "He appeared to be intoxicated. He was argumentative about the price of cigarettes at the establishment." While it's true there are no bargains to be had on the tobacco rack, bickering over the prices ended up being worse for the clerk's health than the smoker's. When he ordered Jenkins to leave the store and followed him out the front door to take down his vehicle's tag number, police say Jenkins responded with violence. "The suspect got into his vehicle and accelerated toward the clerk, striking him, causing pretty severe injuries. He ended up breaking his arm as a result. The clerk's arm was broken as a result of this," said Limansky. Six or seven bucks for a pack of cigarettes now must seem pretty cheap, since Jenkins faces traffic fines approaching a thousand dollars from the incident, a possible DUI, which could cost thousands more and a series of criminal charges including one count of first-degree assault that could carry up to 25 years behind bars. Not to mention the fact he left the store without any smokes. "I do not believe he ended up buying anything that night," said Limansky, "No."